Research also showed that active children have greater attention spans and perform better academically. Bengaluru: The fitness and Body Mass Index (BMI) levels of schoolchildren in the country – regardless of their age, gender, region or city – continue to be far from satisfactory, according to the 7th Annual School Health and YES Fitness Study 2016 by EduSports. But compared to children from other cities, more students in Bengaluru are healthy. According to the report released on Monday, the sprint capacity of Bengaluru students was 78.83%, which is just 66.33 % at the all-India level. The flexibility level of Bengaluru students is 74.72%, while the national average is 71.62%. Under the lower body strength category, Bengaluru students have scored 62.198%, while national average was 57.96%. 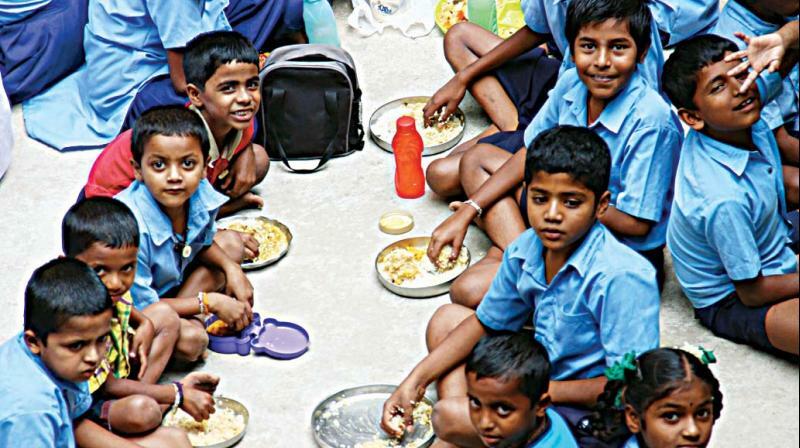 Under other categories, including upper body strength (61.87%), abdominal strength (75.38) and BMI (68.63%) too, Bengaluru students are healthier than their peers. Releasing the report, Mr Saumil Majmudar, CEO and Co-founder, EduSports, said that children are becoming less active for environmental or personal reasons. “Lack of physical activity increases the risk of obesity and health-related problems in adolescence and adulthood. We believe that schools provide the ideal environment to promote physical activity at the right age and improve fitness standards among children. The 7th Annual School Health and Fitness Study shows that schools with a structured, age-appropriate sports programmes witnessed a substantial improvement in health and fitness levels, compared to schools that don’t have a structured sports programmes. Research also showed that active children have greater attention spans and perform better academically,” he said.